Soroptimist International Coronado’s 14th annual Legends Luncheon honors this year’s Legend, Cathy McJannet. The group’s signature fundraising event raises money to help improve the lives of women and girls in our community and throughout the world. The Legend award recognizes outstanding women who devote their time to community service and charitable organizations. Helping and mentoring young women has been a large focus of Cathy McJannet’s life. Born in Halifax, Nova Scotia, the former Cathy MacDonald was one of five children, the daughter of a teacher who left the profession to raise her family, and a father who worked for General Motors. The young family moved to the province of New Brunswick, where Cathy became the first teen to achieve 500 hours as a hospital volunteer at Moncton Hospital. Spurred on by the rewards of her volunteer work, she earned her RN degree a few years later at Moncton Hospital School of Nursing and then obtained a bachelor’s degree in nursing from the University of Ottawa, and a masters in nursing from the University of Phoenix. Upon receiving her RN, the ever-adventurous Cathy accepted a nursing job at Marina Mercy Hospital in Los Angeles, concurrently obtaining her U.S. nursing license. Two years later, she joined the Canadian military, influenced in large part by her father’s military service during World War II and her love for travel. She served for nine years as a nursing officer in the Canadian military, which is where she met Larry McJannet, an aeronautical engineering officer. The couple married in 1979 and moved to Coronado in 1990 when Larry was posted here through the Canadian Armed Forces, part of an exchange-posting program among allied countries. 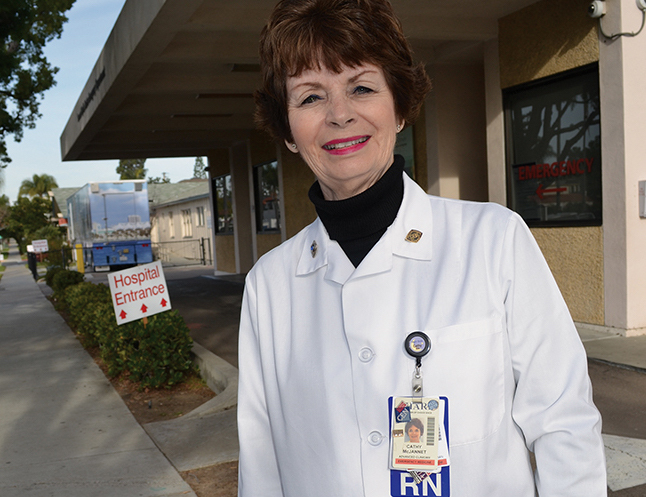 Cathy became an emergency room nurse at what was then Coronado Hospital. In 1993, just when they were due to return to Canada, Larry was offered a job at the Canadian Consulate in San Diego as an International Trade Officer, and they have remained here ever since. The McJannets hold dual citizenship with Canada and the United States. Cathy explains that it meant a great deal to her to become an American citizen, not only because she wanted to vote, but more importantly because she wanted to feel an integral part of this country. Married for 37 years, the McJannets have a son, Ian, 34, who is a manager at Kaiser Permanente in San Diego. Ian attributes his choice to work in the health-care industry to his mother’s commitment to helping others and making people healthy. “I still haven’t met anyone like her or anyone who compares to her,” he confided, adding that he has always been struck by his mother’s selflessness and ability to enrich people’s lives. Cathy’s achievements as a teacher were recognized with awards in 2000 and 2003 when she was named UC San Diego Extension’s Outstanding Instructor of the Year. 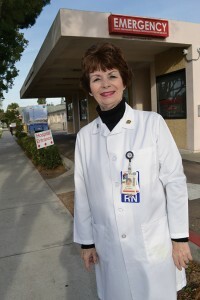 For example, Southwestern College nursing students receive an associate degree when they graduate, and Cathy developed a program where students can concurrently get their bachelor’s degree from San Diego State or Point Loma Nazarene, which both offer courses at the Southwestern campus. For 27 years Cathy has been an emergency room nurse at Sharp Coronado Hospital, and for a good part of those years she has been a faculty member at UC San Diego Extension and a Healing Touch instructor at Sharp Coronado’s Sewall Healthy Living Center. 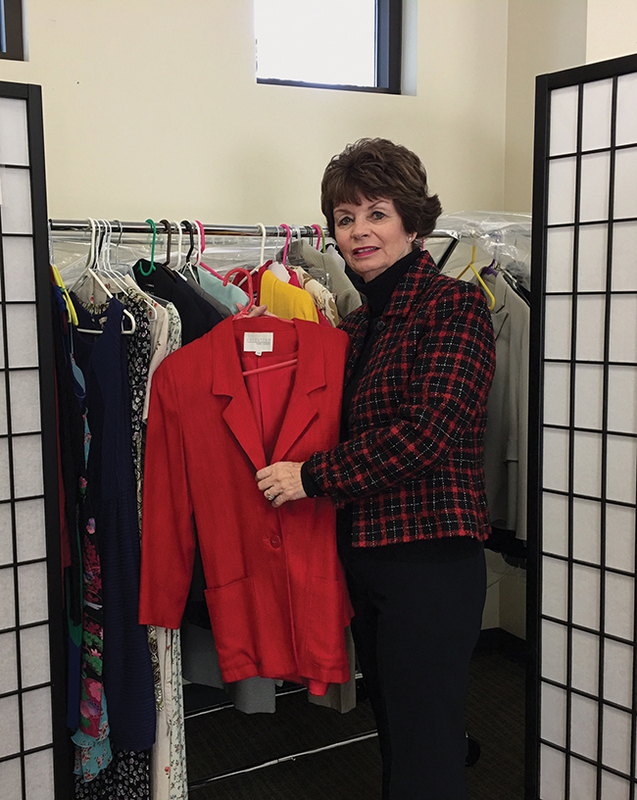 Last year, she opened Cathy’s Closet at Southwestern College to provide professional clothing for young women in financial need seeking employment. (A few items for men are also available.) She has also been instrumental in preparing students for the job market, including bringing in professionals to conduct mock interviews. Involved in community outreach through Southwestern College since 2000, she regularly attends workshops and career fairs and speaks to young women on the challenges and the joys of a nursing career. Cathy developed a grant through the Coeta and Donald Barker Foundation in 2010 that provides full scholarships to 16 nursing students annually, 85 percent of whom are single women in financial need. She has raised approximately $50,000 for San Diego Emergency Nurses Association for nursing scholarships. A member of Soroptimist International of Coronado since 2010, Cathy works on the organization’s scholarship committee and is coordinator for the two annual Southwestern Soroptimist International Scholarships. She has also worked through Soroptimist with Mary’s House to provide continuing education scholarships for women who have been victims of human trafficking. 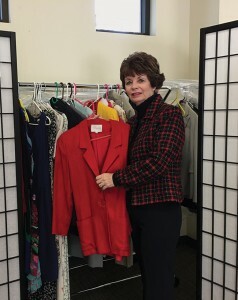 Cathy McJannet organized “Cathy’s Closet” to provide professional clothing for jobseekers in the nursing field.